Dental tourism has become a fast-growing industry in India. The cost-effective and high quality care make India as one of the top countries in the field of dental healthcare. There are many points that one should consider when planning to fly abroad for dental tourism. There might be a number of hospitals or agencies that may offer special packages and attractive offers. But, there are several things to be taken care of when you choose one. One should first try to understand whether the agency or their package suits their requirement or not. First have a thorough research according to your requirements and necessities. A good preparation is always required. You should check the possibilities of the required treatments in India. Communicate with those who have already taken treatments from India. The next step is to choose the right consultant/hospital/destination. Dental surgeons and clinics are in plenty in India. It is a difficult task to choose the right one among them. 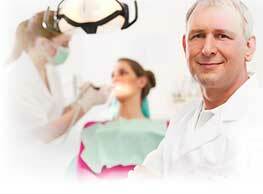 You should check for the experienced and skilled dentists who can provide the best care for you. Here comes the role of Tours2health. We have a list of the best dental clinics and doctors in the country with us. Find out the most possible information about the clinic including it’s accredits, infrastructure, the dentist’s skills and experience, staff, track record, the ability to handle emergency situations. Tours2health can be the best support for you to find out all these factors and choosing the right clinic/dentist cannot be a difficult task then. Dental Tourism in ChennaiDental Tourism in New DelhiDental Tourism in MumbaiDental Tourism in KochiDental Tourism in MaduraiDental Tourism in BangaloreDental Tourism in HyderabadDental Tourism in SecunderabadDental Tourism in Greater NoidaDental Tourism in AhmedabadDental Tourism in Whitefield.